In 2006, Eric Jeulin and Nicolas Julien, both former members of the tax department of KMPG/Fidal Direction Internationale, decided to get together to establish Julien Jeulin Avocats Associés, a firm specialising in tax law. The firm offers a domestic and international client-base, comprising multinationals, SMEs, individuals, accountancy practices and law firms without a tax department of their own, an alternative to the big networks and tax departments of traditional firms. In 2012, Laurent Maudoux joined Julien Jeulin Avocats Associés as a partner to develop the corporate law practice of the firm, and, in particular, its company law and merger and acquisition activities. 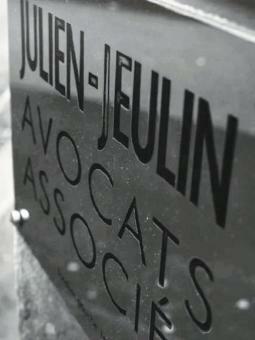 The firm is now called Julien Jeulin & Associés. It has retained its strong specialism in the taxation field and has expanded the services that it offers to cover its clients’ corporate matters.